Child Prodigy Piano Players – Can Your Child Be One? You may be wondering how child prodigy piano players are created. Are they naturally like that or are they taught? The answer may surprise you. The girl in this video is only 3 years old. Her name is Hiyori. They learn by ear first, and learn to read later. Exactly the same as learning a language. And they don’t have any limits placed on them. They don’t know that they’re young and that some pieces are considered too difficult for them. They just start playing, and get on with it. Most of these child prodigies start learning through the Suzuki method and with a teacher. 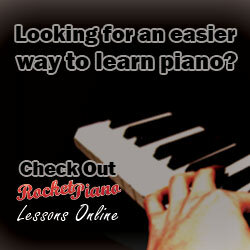 If you are wondering how much piano lessons cost, there are many options available online. Gone are the days where you have to go through rush hour traffic to a teacher and sit in extreme weather conditions in a car, waiting. You can take your child’s education in your own hands and learn a new skill yourself besides. Piano lessons help children develop right brain skills. This makes them clever. You help your child become better at many things when you give them a music education: focus, determination, perseverance, memory and concentration are some of the skills they learn. These are good life skills to have. Get them a music software program online where they can play on a digital piano, and learn from the software designed by a Julliard school teacher. The program is called eMedia, and should be followed by video lessons; I recommend ArtistWorks, Inc. You shouldn’t wait too long before you introduce beginner music theory lessons as this helps music students understand their instrument better. Children love learning when they think they’re playing a game. Make sure they don’t have limiting beliefs, and you too will have a child prodigy. If you have any questions, please ask them in the comments or contact me. I played the piano growing up…and still! What amazing videos of the kids! My only advice to parents would be to not put too much pressure on a child. 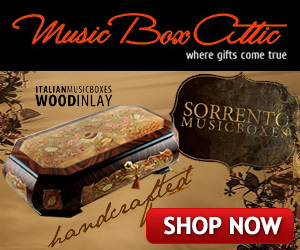 Music is a gift to be enjoyed! I agree wholeheartedly. Some parents get carried away, expecting too much. I’d rather have the children love what they’re doing. Great article. Looks like some great resources for early piano lessons. Will have to check them out. Great videos. Those kids are amazing! I love and am amazed to watch kids play instruments at such an early age – and sound amazing. ArtistWorks sounds like a great program. Awwww…. those kids in the videos are adorable! I used to play piano as a child, and still remember a few pieces. Maybe I should try playing something again soon. My daughter is naturally gifted in music; but, she was never able to play as well as these children at an early age. That is amazing! She just needed the right teacher or program.